The 54th Annual Williamsburg Christmas Homes Tour, presented by the Green Spring Garden Club Inc., features houses decorated with holiday floral arrangements. All are located in and around The Colonial Williamsburg Foundation’s Revolutionary City. Visit six private residences in and around Colonial Williamsburg’s Revolutionary City, open to the public for the Green Spring Garden Club’s Christmas Homes Tour, several for the first time. 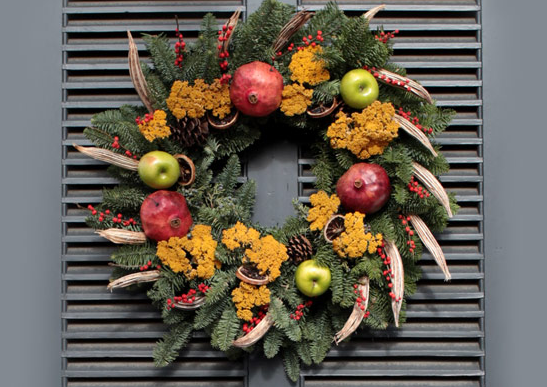 Each will be beautifully decorated with holiday floral arrangements. The houses include three charming residences on the Duke of Gloucester Street near Merchants Square: the Bryan House, the Catherine Blaikley House and the Blaikley Kitchen. Also on the Duke of Gloucester Street, but near the Capitol, is the Edinburgh Castle Tavern, home of Bill Barker who portrays Thomas Jefferson for Colonial Williamsburg. Featured will be Mr. Barker’s extensive collection of Jefferson memorabilia along with Jefferson’s favorite wines. Nearby on Waller Street, the Elizabeth Carlos House contains the current residents’ collection of English antiques and treasures. One additional home, located on North Henry Street close to Merchants Square, dates to the early 1900s. It is the recently-renovated Newell home showcasing period architectural features and furniture. Tickets will be sold at the Colonial Williamsburg Regional Visitor Center and the Williamsburg Lodge on December 6 from 9:00 am to 6:30 pm and on December 7 from 8:30 am to 2:30 pm. During Tour hours tickets will also be sold at each of the Houses. Ticket Prices: $30 for a Full Tour ticket and $10 for a Single House admission. Parking at the Visitor Center is free; a ticket enables you to ride the Colonial Williamsburg Foundation buses on tour day.